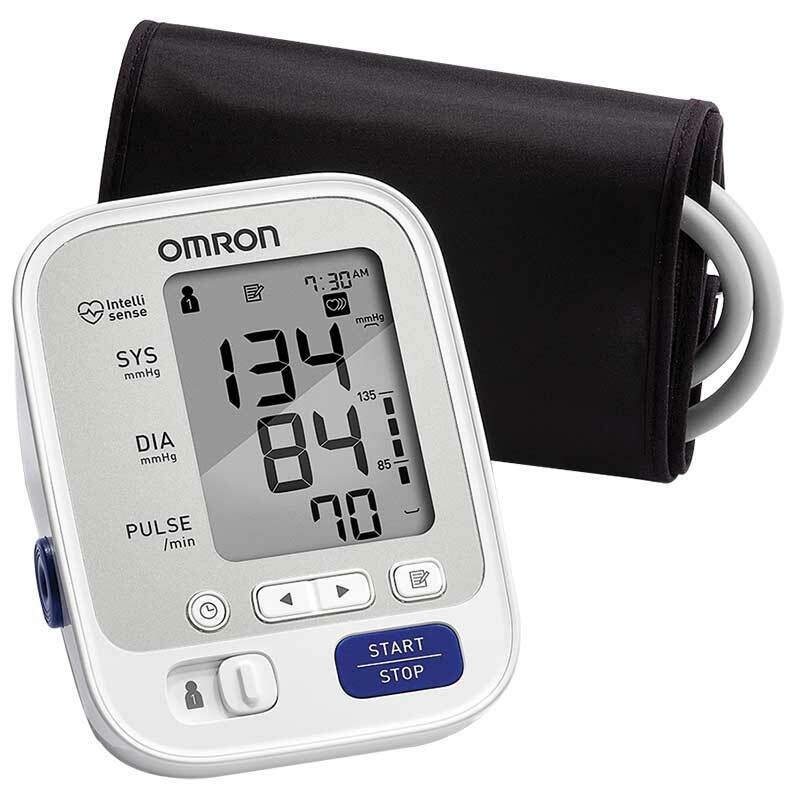 The 5 Series™ home blood pressure monitor with Omron’s Advanced Accuracy helps ensure consistent, precise readings. This model is quick and easy and has a few more features than the 3 Series™ Upper Arm, like dual settings for two users, memory storage space for up to 100 readings and a wide range cuff that fits standard and large arms. When you trust your heart to Omron, you’ll be empowered by accuracy. Includes: unit, wide-range cuff (fits arms 9" to 17" in circumference), instruction manual, quick start guide, 4 AA batteries. Feel empowered by accuracy with technology that automatically displays the average of your last 3 readings taken within 10 minutes. Quickly see how your reading compares to normal home blood pressure levels with the BP Level Indicator. Alerts you instantly if an irregular heartbeat is detected while your blood pressure is being measured. Increased memory storage allows you to monitor and store the last 100 readings for more than one person.